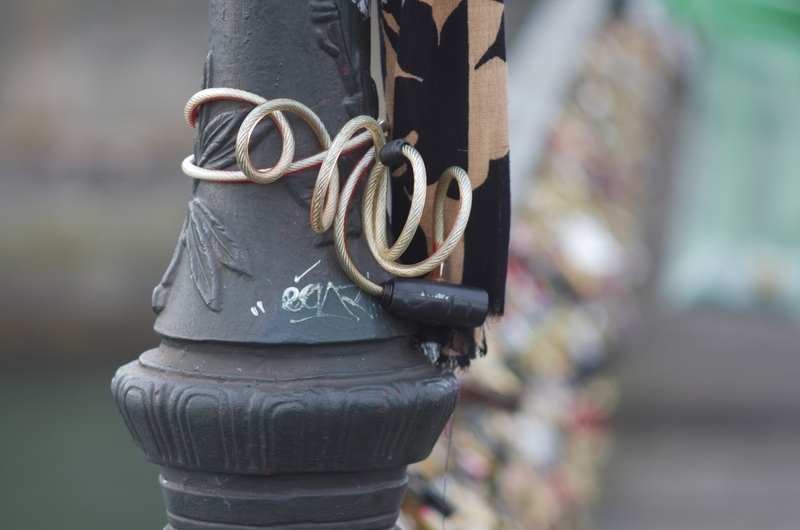 In recent years, people have taken to attaching padlocks to bridge railings in Paris to symbolize their love. That one is basically a bigger and stronger version of the one I took last tuesday. That or somebody was afraid of somebody else stealing a street lamp. Nice story, and photo. Bien. Interesting but odd custom! Like the spiral effect! I agree the story is nice - its good to know there is a surplus of young love instead of a bicycle thief at large! Interesting story and a good capture. have you too heard they are going to remove them because it imposes too much weigh on the bridge's structure ?